Our commercial roofing company has endless business roofing solutions. 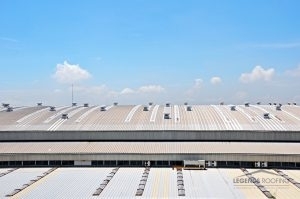 Legends Roofing is a commercial roofing company in Dallas, TX. We offer commercial roofing services that include roof restorations, repairs and more. Our team specializes in flat roofing and works with durable roofing materials to ensure excellence for all of our commercial clients. Commercial clients take advantage of our expertise to keep a reliable roof over their businesses. Call us today at 214-321-3293 to get great roofing experts out to your business today. We offer endless solutions to roofing troubles in the area. As a commercial roofing company in Dallas, TX, we understand business owners in the area are looking for energy efficiency as well as durable style in their roofing options. Whether you’re in the market for a new roof coating or a roof replacement, we have experts with decades of experience ready to assist you. Find answers to your questions about different types of commercial roofing materials available to you. Call 214-321-3293 to get in touch with our commercial roofing company in Dallas, TX for your business roofing maintenance, repairs and more. TPO Roofing Enjoy the storm resistant, highly- reflective and eco-friendly benefits of TPO roofing, installed by our commercial roofing company. TPO Roofing is great for the commercial enterprise that is looking for an energy efficient roofing solution. Metal Roofing Achieve style and durability at the same time with a metal roof of your choice. Choose this popular roofing material for endless possibilities in stylishness while providing optimum protection. PVC Roofing If you’re worried about excess chemicals or contaminants ruining your roofing system, PVC roofing is the right roofing material for your business. Our commercial roofing company uses PVC roofing to solve problems for high volume businesses. Roof Restoration Opt for full roofing makeover with our commercial roofing company when it’s too early for a replacement and too late for simple repairs. Roofing restorations lengthen the life of your roof by repairing all roof damage and adding protective materials like roof coatings. Modified Bitumen Roofing Commercial enterprises in hot, stormy places like Texas benefit from reliable flat roofing options like Modified Bitumen. Our commercial roofing company can install modified bitumen roofing for your business as an inexpensive roofing solution. Roof Coatings To get the best out of your current roofing option, have an expert from our commercial roofing company install a roof coating. Roof coatings extend the life of your roof without extensive repairs or excessive maintenance. Commercial Roof Replacement & Installation Our commercial roofing company specializes in fitting fantastic roofing replacements for business enterprises in the area. If it’s time to replace the roof, make sure the job is done right with expert services from Legends Roofing. As a reliable commercial roofing company in Dallas, TX we offer business owners fantastic solutions to their roofing problems. If you’re wanting a better roofing system for your business, contact a Legends Roofing customer service representative today. They’ll be sure to answer all your questions regarding commercial roofing and help you take care of your roofing needs. Call our commercial roofing company at 214-321-3293 to begin receiving fantastic roofing services today. Updated on August 2, 2017 at 4:36 pm by Legends Roofing.